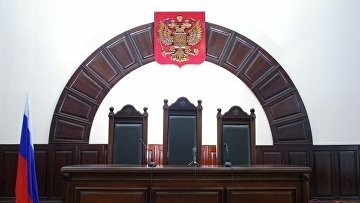 Investigators bring charges against member of notorious Basayev gang | Russian Legal Information Agency (RAPSI). MOSCOW, July 26 (RAPSI) – Aslan Yandiyev, an alleged member of a gang led by Shamil Basayev, a notorious Chechen warlord, has been charged in the framework of a criminal case opened over organization of terror attacks in Vladikavkaz in 2006, the press-service of the Investigative Committee states on Thursday. The defendant is charged with banditry, illicit arms trafficking, murders and organization of six terror attacks. According to a statement of the Federal Security Service (FSB), he was involved in the organization and committing a series of deadly terror attacks in the Russian city of Vladikavkaz, North Ossetia, in 2006. Investigators claim that the defendant fled Russia in order to avoid criminal prosecution in 2010. In 2011, he was arrested in Slovakia. On July 18, Yandiyev was extradited to Russia. 15:59 26/07/2018 Aslan Yandiyev, an alleged member of a gang led by Shamil Basayev, a notorious Chechen warlord, has been charged in the framework of a criminal case opened over organization of terror attacks in Vladikavkaz in 2006.